As economies in developing Asia are quite diverse in population, demographics, and per capita GDP, it is no surprise that they vary widely in the size, structure, and complexity of their banking systems. They all have a common need, however, for supervision and regulation to keep their banking systems safe and sound. This means ensuring that their inevitable problems are manageable and that their bank failures, when unavoidable, are not large or systemic. Meanwhile, banks must remain able to meet credit needs. Given the huge role of banks in Asia and the crippling effect of banking crises on growth, regulatory authorities’ first line of defense against financial stability is naturally the sound prudential supervision and regulation of these institutions (Table 2.4.1). In addition, regulatory authorities in the region need to follow guidelines set by Basel III core principles for bank regulation, which were recently introduced to strengthen global regulatory standards in the aftermath of the global financial crisis. Southeast Asia in particular has unique regulatory and supervisory challenges arising from ongoing regional financial integration. The past 20 years have seen the emergence and expansion of many large banking conglomerates throughout the region. Some of these conglomerates operate banks that are systemically important in more than one economy. Conglomerate interconnectedness poses potential contagion risk—the possibility that problems arising in one affiliate can spread to other affiliates through various mechanisms such as inter-company transactions. Bank supervisory authorities in jurisdictions where conglomerates operate subsidiary banks need to ensure timely and effective two-way communication and information-sharing with their foreign counterparts. Coordination among supervisors enables better understanding of the risks and financial soundness of the conglomerate parent and its bank and other subsidiaries, as well as the risks posed by transactions between affiliated organizations. Those who set international standards, such as the Financial Stability Board and the Basel Committee on Banking Supervision, pursue reform agendas intended to reduce the risks of bank failure and to mitigate the cost of failures and thereby preserve public confidence in the banking system when they occur. 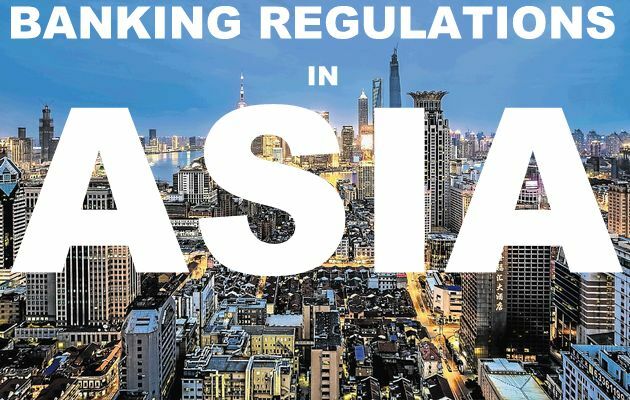 In particular, Asian banks are now confronted with Basel III and the tightening of the Basel Committee’s core principles for bank supervision agreed in 2011–2012 in response to the global financial crisis. That crisis resulted partly from a serious failure of bank regulation in the advanced economies. Basel III presents voluntary regulatory standards on bank capital adequacy, stress testing, and market liquidity due to be implemented by March 2019. The initial Basel principles were agreed in 1988 and revised in 2004 (Basel II). Table 2.4.2 compares Basel II and Basel III, and Table 2.4.3 outlines the implementation table for Basel III. Adherence to the more stringent Basel III standards will further strengthen Asian banks’ balance sheets and mitigate their vulnerability to shocks. The regulatory framework reduces opportunities for regulatory arbitrage and harmonizes regulatory standards. However, the region must ensure that tightened regulations do not seriously compromise banks’ capacity to fulfill their core function of channeling credit to households and firms for investment and production. Banks in Asia appear sound today even under the new stricter standards of Basel III thanks to earlier efforts to strengthen their capital base, reduce nonperforming loans, and bolster loan loss provisions, especially after the Asian financial crisis of 1997–1998. However, another reason is that the region’s financial markets are underdeveloped and not as exposed to sophisticated instruments as their counterparts in more financially advanced economies. Bank capital, for instance, is mostly held as simple paid-in capital and retained earnings. Although they preserve financial stability and improve transparency among banks, the new, stringent regulatory standards raise the cost of financial intermediation and limit the availability of bank credit. In upper-middle-income countries, relatively scant and expensive bank finance will encourage the development of bond markets, as their economies already have a core bond market and a growing institutional investor base such as insurance companies. The tight leverage ratio under Basel III will likely limit the supply of bank finance, as banks in these countries often stretch their balance sheets. Moreover, capital requirements will likely constrain the provision of bank finance for SMEs unless efforts are made to enhance secured and unsecured lending and promote nonbank finance for SMEs. For lower-middle-income countries, the challenges that Basel III pose are somewhat different and more challenging. The new financial standards, particularly liquidity requirements, are likely to constrain the generation of medium- to long-term bank finance because financial systems are heavily dominated by banks. While solvency policies are designed to encourage very long-term investment by insurance companies, insurance industries are often too small in these economies to compensate for the loss of medium- to long-term finance from banks. Therefore, in addition to developing a base of long-term institutional investors such as insurance companies and pension funds, regulators must, in the meantime, induce banks to meet their capital adequacy requirements by expanding their capital, not cutting back their lending. According to Zamorski and Lee (forthcoming), international experience during the global financial crisis provides some valuable lessons for Asian bank regulators. Above all, the crisis underlined that sound and effective bank regulation is vital to financial stability. The crisis reflected the failure of regulatory authorities to keep pace with financial innovation. The sobering lesson for Asia and the rest of the developing world is that even financially advanced economies are susceptible to risks from lax regulation and reckless lending. Assessments of the global financial crisis of 2008–2009 invariably point to ineffective finance regulation and supervision as the main reasons for the onset of the crisis and its severity. In particular, lapses in banking regulation contributed significantly to the outbreak. Regulators allowed banks to operate with excessive leverage and failed to curtail risky lending, primarily mortgages to subprime homebuyers who were inadequately screened for creditworthiness. Bank supervision had been weak by any measure. Supervisors did not conduct regular onsite bank inspections or examinations of sufficient depth. They did not properly implement risk-based supervision, and they failed to identify shortcomings in banks’ risk-management methods, governance structures, and risk cultures. Instead, overemphasis on banks’ historic operating results and static financial conditions in assessing risk failed to reveal potential vulnerabilities. Meanwhile, offsite surveillance systems relied too heavily on banks’ self-reported data to effectively monitor risk. Regulators failed to understand the risk and policy implications of new bank products and services and changing business models, or to establish effective lines of communication with their counterparts in other economies, through which they could have shared vital information. (iv) Considering risks in the shadow banking industry or cross-sector risks posed by non-bank financial intermediaries. The last major episode of cross-border financial instability and banking crisis in developing Asia occurred more than 17 years ago. To extend this impressive record of relative calm, bank supervisory authorities in the region need to assess their supervisory systems, infrastructure, and actual practices. The lessons learned in the global financial crisis will be useful to this process. If the assessment reveals that changes, enhancements, or remedial action are needed, a definitive plan should be crafted and implemented in a timely way.